This catering menuboard is appetizing with it’s flamboyance. The dark blue compliments perfectly with the white typeface to present a vibrancy so essential to attract the target audience. 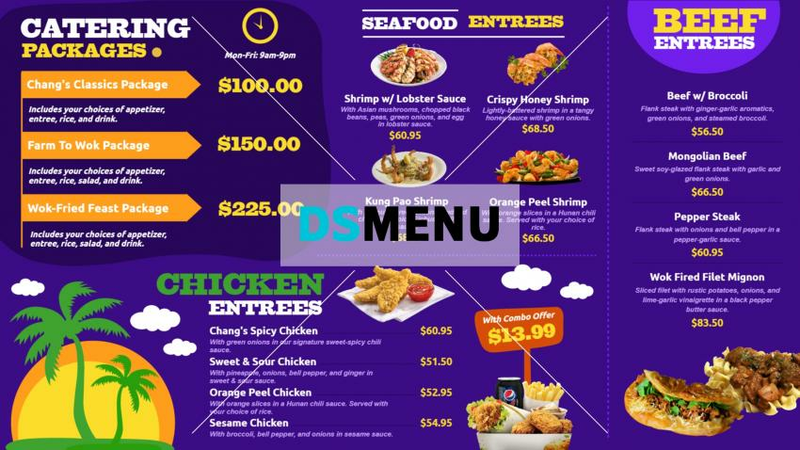 On a digital signage menuboard, the visual appeal will draw-in the crowds. The variety in the menu is an added incentive.